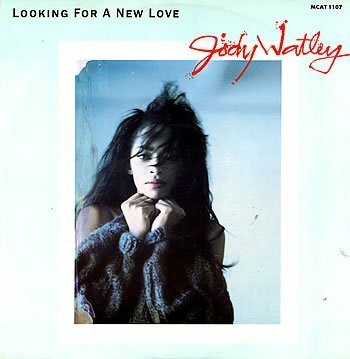 Looking For A New Love was the debut dance/pop single from Jody Watley and featured on her self-titled debut album. Released in May 1987 in the UK, the song peaked at #13, but reached #2 in the US (Billboard Hot 100) and #1 on the US Dance Chart. Further single releases from the same album were unsuccessful in the UK, but faired a bit better in the US. These tracks were; Still A Thrill (#77 UK, #56 U.S.), Don't You Want Me (#55 UK, #6 U.S.), Some Kind Of Lover (#81 UK, #10 U.S.) and Most Of All (#60 U.S.) which I believe wasn't released in the UK. 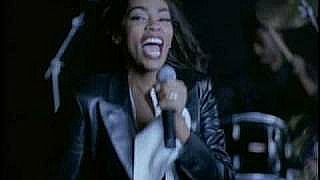 Jody Watley had some minor UK success in 1989 with Real Love which reached #31, and Friends (ft. Eric B & Rakim) which peaked at #21. Both singles made the Top Ten in the US and were lifted from the album Larger Than Life. The singer's only other Top 40 hit in the UK was in 1994 with When A Man Loves A Woman which reached #33, but only managed #115 in the US.